Who would have thought so many people in the world would love to share their lives through small photos on a social network? Well, at last count, Instagram had over 400 million active users! It’s not a fad any more, folks. Like all social networks, Instagram is constantly evolving and updating—what else would you expect from a billion dollar company $1 Billion In 2 Years: The Story Of Instagram, As Told By Its Founders $1 Billion In 2 Years: The Story Of Instagram, As Told By Its Founders "What are some good places to get professional business cards printed?" When Kevin Systrom put this innocuous question on Quora 3.5 years ago, little did he know how valuable those business cards would become. Read More ? Previously, we have shared plenty of nifty Instagram tips and tricks 10 Awesome Instagram Tricks You Should Definitely Check Out 10 Awesome Instagram Tricks You Should Definitely Check Out Whether you're managing a team Instagram account or just wanting to send a friend some super-awesome marshmallows, there are lots of Instagram tricks waiting for you. Read More , but things have changed since then. Let’s find a few more cool hacks to rock the photo-based social network! For the longest time, one of the cornerstones of the Instagram experience was square photos. But last year, that was finally ditched and you can now shoot or upload photos in portrait (tall) or landscape (wide) orientations. There’s a tiny “format” icon (which looks like the borders of a frame) on the upload screen now. Tap this to zoom into a square orientation or tap to zoom out into the original portrait or landscape orientation of the photo. Pinch the photo to adjust the level of zoom at any point. It’s really simple to use, and lets you play around a lot more with photos. For example, you can now try to use the golden ratio for better photographs Using the Golden Ratio in Photography for Better Composition Using the Golden Ratio in Photography for Better Composition Do you struggle with photo composition? Here are two techniques based on the Golden Ratio that will drastically improve your shots with little effort on your part. Read More , or really make full use of your phone camera’s wide-angle lens to capture fantastic landscape photos of nature Get Inspired: 10 Amazing Nature Photographers To Follow On Instagram Get Inspired: 10 Amazing Nature Photographers To Follow On Instagram With 130 million users and counting, the world has never seen such a tsunami of photography aficionados. Is it possible to draw out ten amazing nature photographers who are snapping the beautiful world around us... Read More . Filters are an essential part of using Instagram, and new filters are released periodically Meet Instagram's Five New Filters (And Learn What They Are Best For) Meet Instagram's Five New Filters (And Learn What They Are Best For) Photography social network Instagram has issued a new update, which brings five new filters, the ability to reorder the filters, and thumbnail previews. Instagram is releasing new filters for the first time in two years. Read More . Did you know that there are 40 different filters right now? Yeah, you probably don’t use many of them! So clean house a little and rearrange to include the filters you like the most. When you see the list of filters in your Instagram app, scroll right to the absolute end, and you’ll find a cog wheel icon which says “Manage”. Tap that to reveal a list of all Instagram filters. Here, you can hide the filters that you don’t use—just tap the tick mark so that it’s removed. You can also rearrange the order of the filters. Tap and hold one, and move it up or down. It’ll help to know how Instagram filters work and their differences How Instagram Filters Work, And Can You Tell the Difference? How Instagram Filters Work, And Can You Tell the Difference? Here you'll find everything you need to know about what each Instagram filter does, what it's best used for, and some great examples for you to look at. Read More , but the general rule of thumb is to use filters that add color and warmth to your photos. While filters are important, they aren’t the only way to make your photos look better. 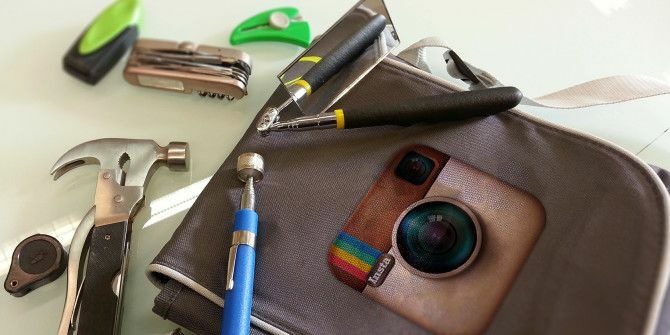 In fact, most people forget that Instagram is a full-fledged photo editor with some incredible tools built in. When on the Edit screen, tap the wrench icon to reveal a set of different editing tools. Here, you can rotate the image in “Adjust”, change its details with “Structure” or “Sharpness”, add shadows or highlights in “Color”, and even add a tilt shift effect How To Make Your Own Tilt Shift Scenes In Photoshop How To Make Your Own Tilt Shift Scenes In Photoshop Read More without fancy software like Photoshop. When you write a caption for your photo, you will also want to add a few hashtags. Hashtags are how Instagram groups images, which helps serve it to other people who are trying to discover new people to follow. Figuring out the right hashtag can be a struggle. A simple trick is to let Instagram suggest it for you. Suppose you took a photo of your new labrador puppy. The moment you start typing “#labr”, wait a second; a dropdown list of suggested hashtags will tell you what other people are using for similar hashtags that start with those four letters, along with a count of how many photos are tagged with those hashtags. And just like that, you might find out that #labradorpup is more popular than #labradorpuppy, so you can tag accordingly. 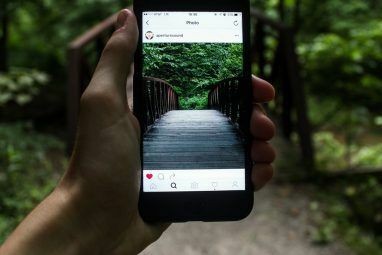 That one small tweak can make a big different in Instagram’s cryptic world of hashtags The Complete Guide To Cryptic Instagram Hashtags No One Understands The Complete Guide To Cryptic Instagram Hashtags No One Understands #instagood, #l4l, #f4f, #photooftheday, #igers… what's up with all these hashtags? The least you can do to ease your suffering is to learn what all these hashtags mean. Read More , so it’s best to let auto-suggest guide you when you’re uncertain. Try a few combinations and innovative keywords to start with—you’ll soon get a hang of it. While science says the length of captions don’t matter How to Get More Likes and Comments on Instagram, According to Science How to Get More Likes and Comments on Instagram, According to Science Read More , you don’t want it to get annoyingly long by cramming a whole bunch of hashtags in there. Instead, a trick that several Instagrammers are using these days is to keep the description on point, and only add four or five hashtags in it. Then, in the comment for the photo, they add extra hashtags. So fill up that first comment with all the different hashtags you can think of, and employ the above trick of using autocomplete to find relevant hashtags. It’s a way of nicely formatting your photo and its caption, while getting all your hashtags in for discoverability. Say this mantra with me: “When I reply to someone, I *have* to tag their name.” If a person comments on your photo, you get a notification, right? Well, if you simply reply and comment below that, the original commenter won’t get a notification that you have responded! To fix this, you need to tag or mention that person’s handle. There are two ways to do this. First, you can manually type their name. Second, you can tap the comment, long-press it to select, and then tap the “Reply” arrow icon to see their name auto-added into the comment box. But whatever you do, it’s important to do this step. Remember, Instagram is a social network and you need to talk to people. You can’t have a conversation if the other person doesn’t know you’re talking to them! You don’t always have to use the Instagram camera app to take photos. In fact, using a better camera app will likely give you better photos. Then, you can simply import that photo in Instagram by uploading it from your gallery. There’s a neat shortcut to do that now. Tap and hold the Camera button in Instagram and you’ll get a horizontal scroll bar of all the recent images from your camera roll. Scroll, select the image, and it’ll automatically be uploaded, ready to be edited. 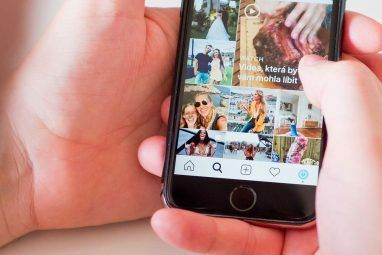 Try as you might, Instagram ads aren’t going anywhere. Instead, make the most of the situation and control the ads you will see How to Control What Ads You See on Facebook and Google How to Control What Ads You See on Facebook and Google Ads pay for the Internet. Unless an alternative is found, we have to accept them. But while we live with them, we can make these online behavioral ads more relevant to us and our interests. Read More by actively interacting with them. If ads are more relevant to you, then they’ll be less distracting and annoying. Whenever you see an ad that you don’t like, tap the “Sponsored” button in the top-right corner and choose “Hide This”. Instagram will then ask why you want to hide it—if it’s inappropriate, irrelevant, or if it appears too many times. Let Instagram know and over time, it’ll identify which ads you will like. Remember, Instagram is a social network, so it’s important to involve others. When you take a photo with someone else, tag them on it. If you visit a cafe or a bar, tag your location and maybe even tag their official Instagram handle. Tagging others is how celebs rock Instagram What Celebs Can Teach You About Rocking Instagram What Celebs Can Teach You About Rocking Instagram While most Instagram users have a couple hundred followers, millions follow celebrities. And with hundreds of celebs being able to rock Instagram so finely, what can we learn from them? Read More , and it’s a big part of how they are able to get new followers. One of the more popular Instagram trends is to repost or re-gram photos with third-party tools 11 Awesome Instagram Tools You Need to Know About 11 Awesome Instagram Tools You Need to Know About Whether you're making a collage or just wanting to send a friend some super-awesome marshmallows, there are lots of cool Instagram tools waiting for you. Read More . If you tag someone else, they are more likely to repost it. And it goes both ways, so make sure that if someone tags a photo of you, you offer them the courtesy of a repost! Twitter and Facebook encourage you to keep posting all the time. But the same strategy can backfire on Instagram. Research has found that How to Get More Likes and Comments on Instagram, According to Science How to Get More Likes and Comments on Instagram, According to Science Read More the magic formula is to post one photo a day, as anything more than that leads to a drop in engagement levels, which means fewer followers and likes! So all of the tips and tricks you read above? You need to be able to condense them into one magical post every day. A tough ask, yes, but the reward should be worth it! What’s Your Best Instagram Tip? 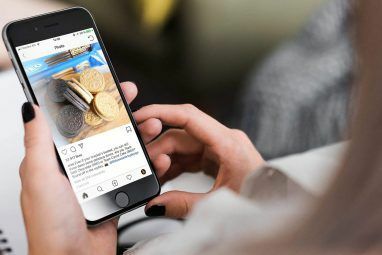 This isn’t an exhaustive list of Instagram tricks, of course, and we’re sure our loyal base of readers probably has their own cool ideas that lead to more likes and followers. So let’s hear it, folks, what’s your best Instagram tip? Recently a lot of people seem to have jumped on the idea of using popular emojis in captions and hashtags Instagram: Why You Should Be Using Popular #Emojis Instagram: Why You Should Be Using Popular #Emojis More than half of comments and captions use emojis, according to Instagram software engineer Thomas Dimson. So, let's not pretend you're not using those smiley or sad faces in your daily conversations. Read More . Is that something you like? Have you used emojis and found more interaction as a result? Instagram has many active users, that's why each follower is important to promote your profile. there is on internet many tips to get followers, to get them in a short time better to use zen-promo.com , it also has the city-based search. Isn't it useful?